As we get older, our eyesight fades. That is a fact that I denied for years as I held reading materials at arm’s length to make out the writing. It’s even worse in low light and trying to tie knots in fishing line during the wee hours of the morning was near impossible. Reading glasses worked as long as I had a good light source that I didn’t have to hold. I eventually met the folks from Panther Vision and learned about Lightspecs. 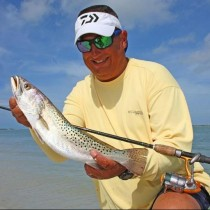 Lightspecs are one of those “crossover” products that serve a variety of purposes, but end up being perfect for fishing. 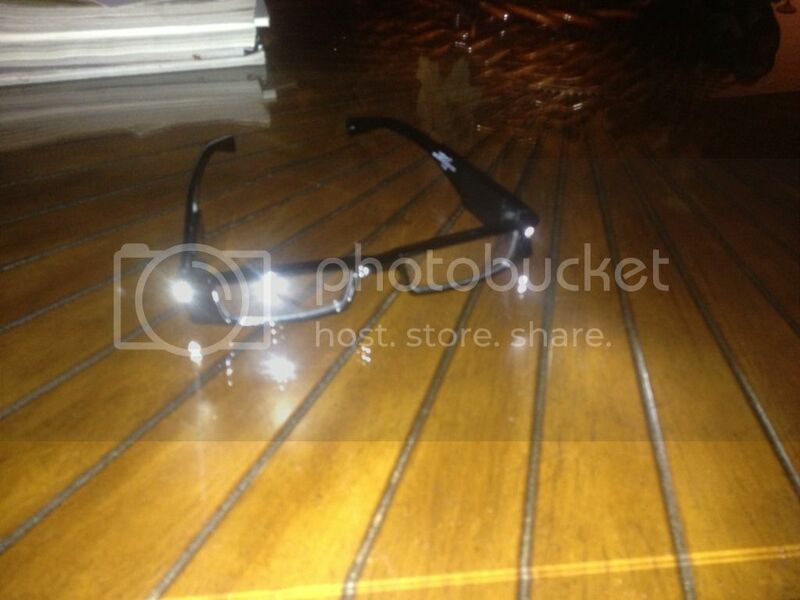 They are glasses with bright built in LED lights for illuminating what you are viewing. Panther Vision has two types of Lightspecs, readers and safety glasses. The glasses I use are the Lightspecs Original glasses. My glasses are a +1.00 power reading glass that gives me just enough clarity to tie knots with small diameter fishing line. There are two single LED lights at each temple. Each one is activated by its own switch, allowing either one or both to be used at any given time. The LEDs are pointed very slightly inward so that the light is directly illuminating whatever you are working on. The lenses and frames are made of durable polycarbonate and are thick and well built. The first time I used the Lightspecs I was immediately impressed by the apparent quality. They have the overall feel of being heavy duty and a much tighter fit than other readers I have in a comparable price range. I was doing some last minute preparations before launching the kayak in the early morning hours. I turned on one of the lights to see how well it would illuminate the lures I was tying on and it was very bright. After turning the other one on I could see everything I was working on with great detail. The replaceable batteries last about 50 hours per light, but I found that one light produced enough light for me, effectively doubling the battery life. When I am done with the Lightspecs, I can toss them in my tacklebox as the lenses are scratch resistant as well. The model glasses I have come in several colors and the range of diopter up to 3.00 power. Panther Vision also has a range of different products including lighted safety glasses, lighted hats and other hands free illuminating devices. Many of these products are customizable with logos or names. Panther Vision also offers a limited lifetime warranty on all of their products. Check out their full line at www.panthervision.com. We recently received these safety glasses to try out. When my husband saw them on me, he was amazed. He stated that they really could have used those the last 2 weeks when they were building a pole barn. While working inside it was quite dark due to the electricity not yet being wired yet. He said these glasses would be perfect for cases like this and many more.